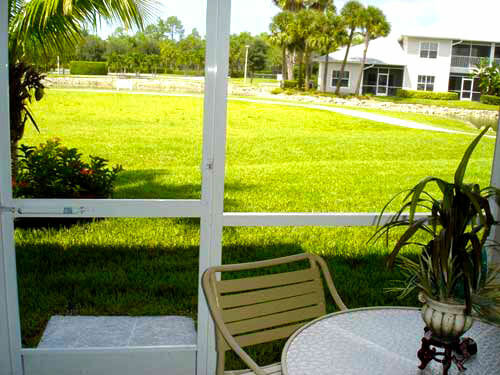 Luxury self catering accommodation situated within the exclusive and beautiful Lely golf resort in Naples, Florida. 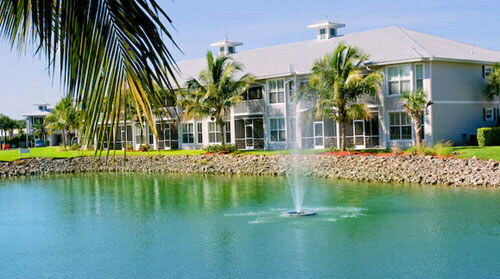 Green links provides an ideal year round holiday location for those who are looking for a affordable luxury condominiums in Naples. Green links has its own Clubhouse with gym, tennis courts, pool and jacuzzi as well as discounted golf fees on the two championship courses. Also located within the Lely golf resort is the restaurant Sam Snead’s Oak Grill & Tavern at Lely Resort serves lunch and dinner daily. There are shops, restaurants and supermarkets located on the outskirts of the resort. 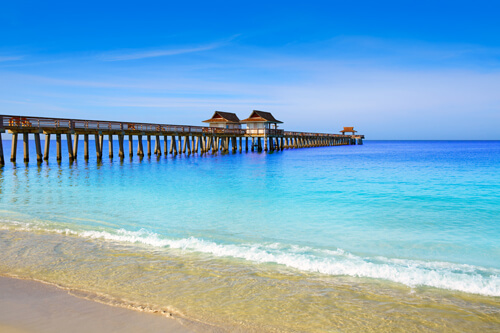 The world famous historic area of old Naples and the beautiful white sandy beaches are a 10-15 minutes drive appealing to couples, families and non golfers. Lounge / Dining Area Spacious and comfortably furnished lounge, with cable TV. Adjoining open plan dining area. 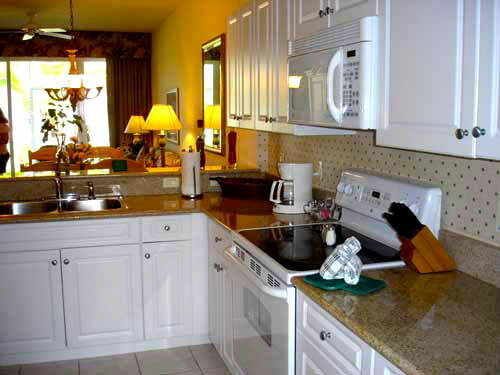 Kitchen Fully equipped kitchen with microwave, fridge freezer, cooking range dishwasher etc. Closet with washer and dryer. 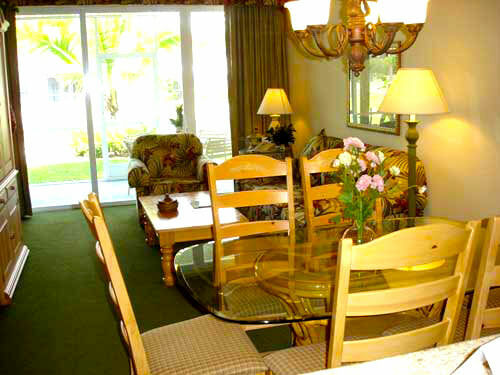 Family Bathroom With bath and shower, wash basin and W.C.
Lanai With table and chairs and views onto the resort. 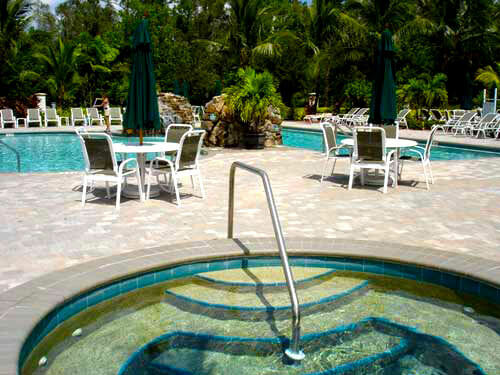 Community Pool and Clubhouse Large pool and spa with sun loungers, tables and chairs for all guests to use there is also a separate bbq area, tennis courts and a clubhouse which includes a gym, lounge area with large tv and comfy chairs and complimentary coffee and cakes. Nook With work desk and internet access. 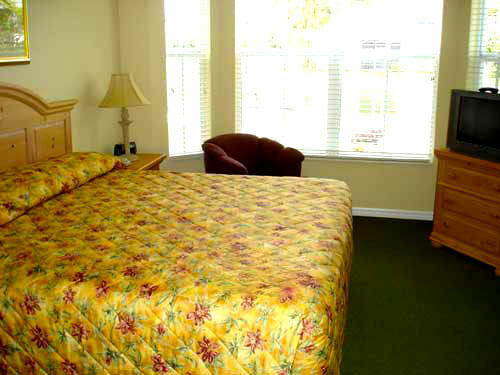 Master Bedroom With king size bed, walk in closet, chest of drawers, cable TV. En suite bathroom with bath and walk in shower. 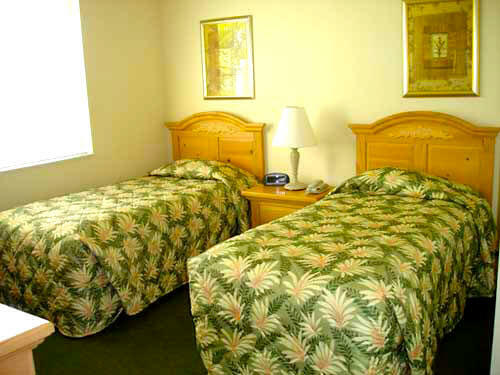 Bedroom Two With Queen or twin beds (varies) dressing table, bedside cabinet, bedside lamp. Closet, plenty of drawer space.